Celebrations filled the streets in the capital of Honduras after initial results in the country’s election gave the opposition candidate a clear lead. TV personality Salvador Nasralla was ahead of President Juan Hernandez by a 5 point margin with 70 per cent of voters counted on Monday. The 64-year-old was confident the race was already over. 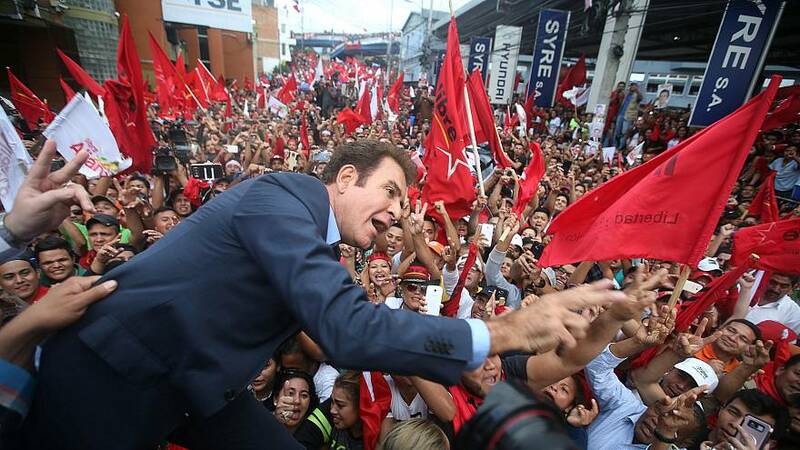 The former sports journalist and TV presenter heads the Opposition Alliance Against the Dictatorship, a coalition of parties from the left and the right. Hondoras has the world’s highest murder rate per capita and nearly half of the population live below the poverty line. Centre-right and US ally Hernandez promised to continue fighting influential criminal gangs. The president has refused to concede, saying he is waiting for the results to be ratified. The electoral tribunal said about 7,500 ballot boxes left to count which account for two million votes. The final election results are expected on Thursday.